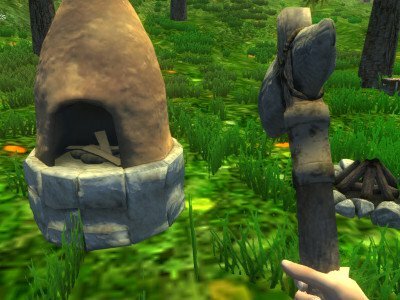 Survival Simulator is a cool fight and survive game, in which you have to survive in a forest where everything is pretty complicated. Now you can enjoy this game online free. How long can you live in a dangerous forest is totally up to you, can you keep alert and be aware of your surroundings and try to avoid anyone attacking you? Kill all the aggressive creatures around you can try to live longer than other things. That is pretty much all the request and you can progress into next levels. As always, good luck and have a good time. Share this game if you enjoyed this game. You can play Survival Simulator free online shooting games at fogames. It has tags: Action,3d,Survival,Archery,Building,Html5,Webgl. It has 1950 total plays and has been rated 83.5% (11 like and 1 dislike), find the fun and happy day. If you want to play more shooting games, we find some of the game: Wilderness Survival 4, Space Survival Escape, Space Survival Escape 2 and Urban Survival Escape 2. To play other games, go to the action games page, the 3d games page, or just check out the new games or best games page. Play Survival Simulator online games, Fun and Happy.